Simultaneous interpretation is rendered orally in real time. Interpreters sit in a booth and render the speaker’s message almost simultaneously, while the audience listens to the interpretation using headphones. Simultaneous interpretation occurs mainly at conferences, international high-level meetings and presentations for a global audience. 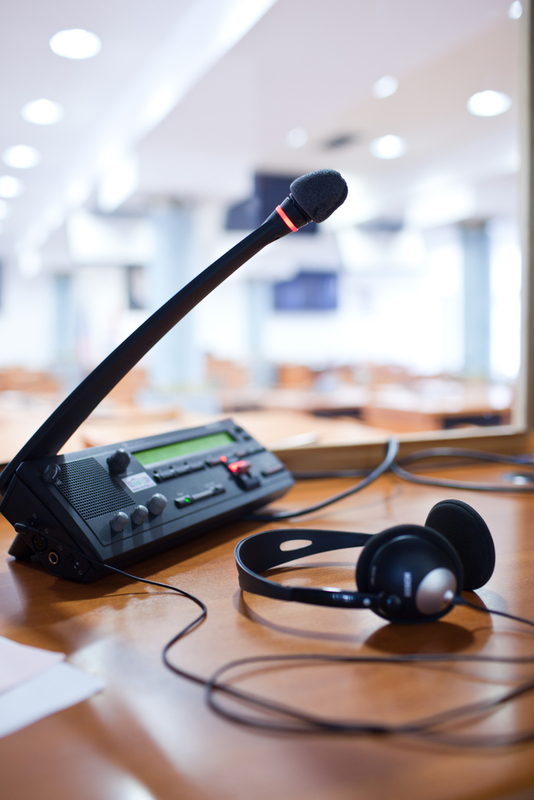 Simultaneous interpretation requires great skill in terms of proficiency in two languages, ability to simultaneously listen and understand the source message and render the interpretation in the target language, as well as familiarity with technical terminology. 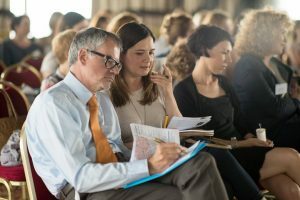 Simultaneous interpretation always involves two interpreters alternating every 20 minutes, which allows them to maintain a high level of concentration. During consecutive interpretation the speaker stops speaking at certain intervals and the interpreter then transfers what was said into the target language. No special equipment is required. Consecutive interpreting takes place during presentations, dinners, press conferences, etc. The interpreter must have exceptional concentration, listening, note-taking and language encoding skills. The interpreter sits next to the person requiring interpretation and whispers the interpreted message into their ear. Interpretation takes place almost simultaneously and no special technical equipment is required. The aim is to assist the individual who requires interpretation without disrupting the rest of the audience familiar with the language spoken. Whispering is suitable in situations in which only one person, or two persons at the most, require interpretation, usually at meetings, office tours, site visits, etc.